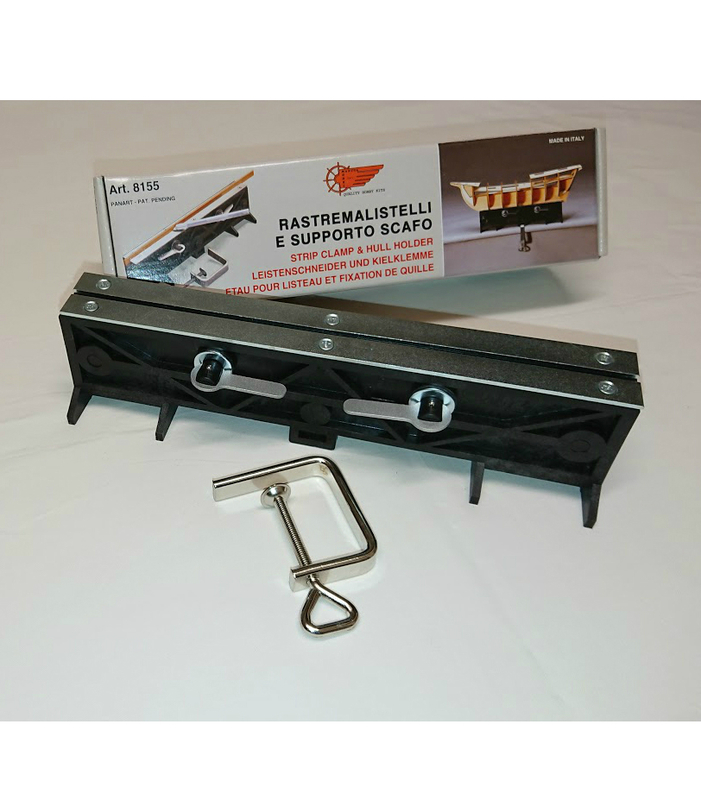 The Hull/Strip clamp is perfect for holding the keel while fitting formers etc, the clamp is adjustable for width. Supplied ready to clamp to your bench with the two supplied clamps. Great for holding stripwood while shaping while hull building.